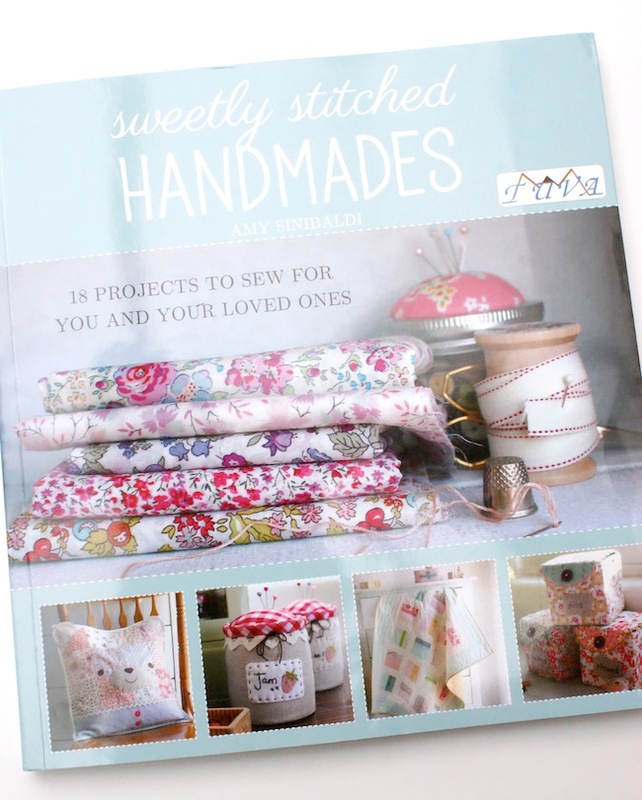 One of my dear blog friends Amy Sinibaldi of NanaCompany very kindly sent me a copy of her brand new book; Sweetly Stitched Handmades: 18 Projects to Sew for You and Your Loved Ones and it was about time I showed you a peek inside if you haven't got a copy yet (why not?). 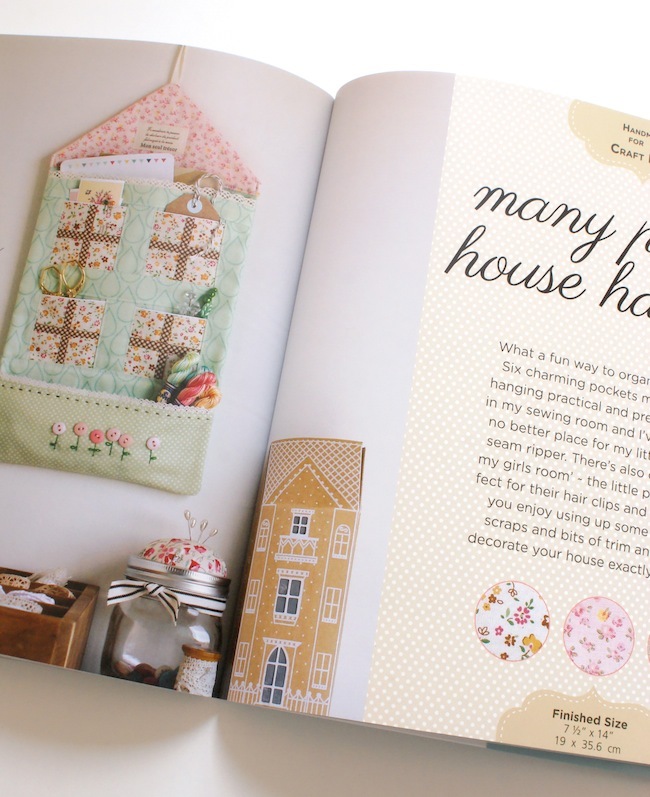 Amy has been such a huge source of inspiration for our quilty/blogging community for years now, I remember following her on Flickr before she ventured into the blogging world, just gazing at all her amazingly cute and detailed projects thinking "How on earth can one person be so talented?! 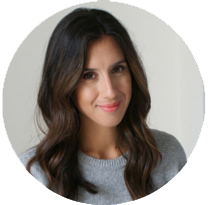 ", whether it's an embroidery pattern, a beautiful quilt, or something sweet for one of her adorable children, it's always impeccably made with such precision and style that's so unique to Amy. Not forgetting her flawless photography skills which makes everything shine. 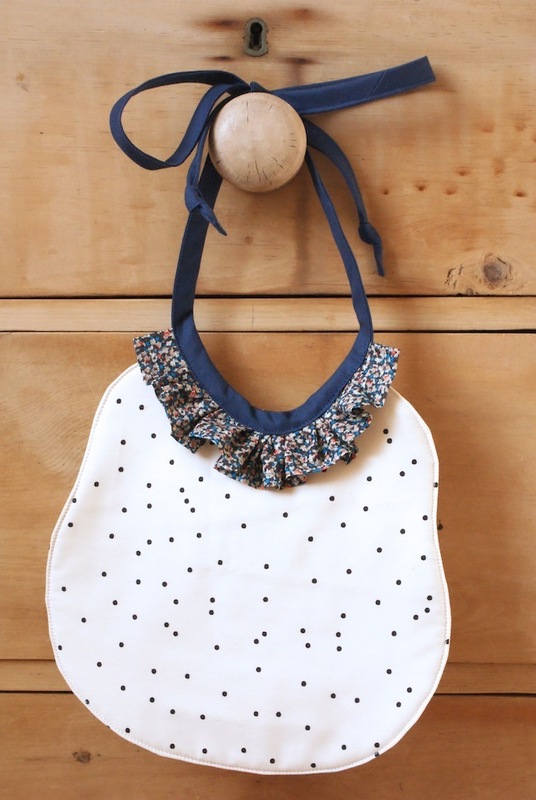 I think probably each and every one of us has made something from one of her tutorials or sewing project she's posted on her blog, in the hope "it might look NanaCompany style!?" Well, guess what - now hopefully, we can! 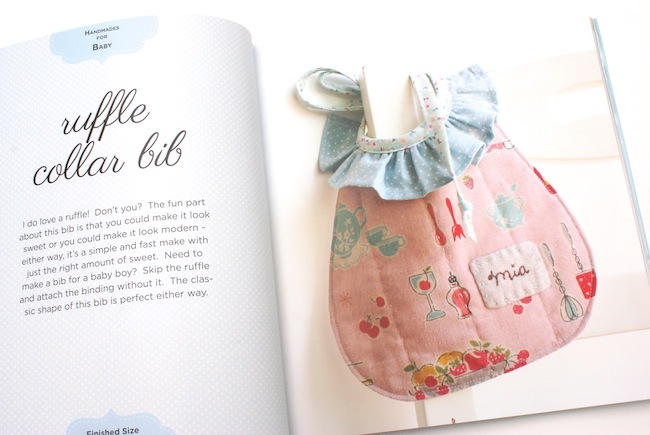 With Sweetly Stitched Handmade, Amy has compiled a book of 18 delightful projects that all have that enviable NanaCompany style. Everything from quilts, gifts for babies, and cute things for your sewing room and home is covered. I whipped up a ruffled baby bib as my first project from the book, for my new nephew (yes I said nephew, it could look girly I suppose ;-) but we'll ignore that…) There are patterns in the back of the book, and Amy goes through her favourite tools and how she goes about making her cute little appliquéd patches that are often seen on her designs at the intro section. 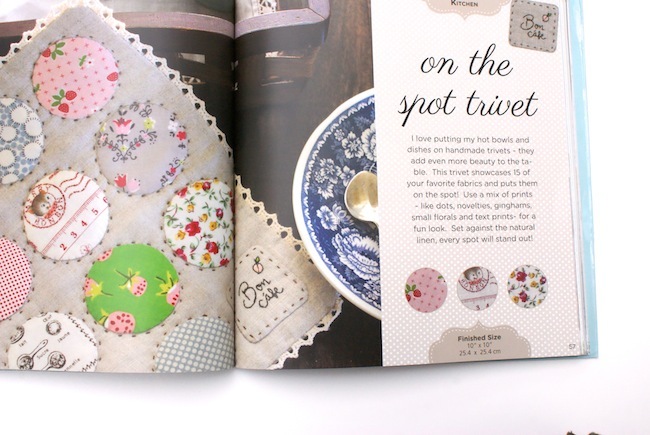 Thank you again Amy for sending me your wonderful book full of sewing eye-candy! It's a real gem, you should be very proud indeed. I know I'll be using this book a lot more! The 'many pockets house hanging' is calling my name next. What about you, which is your favourite from the book? I'm with you Jesse - I too love all of Amy's makes. Each one is so detailed and sweet. I particularly like the handmade touch she adds to every project. She's great isn't she, such a distinctive style. 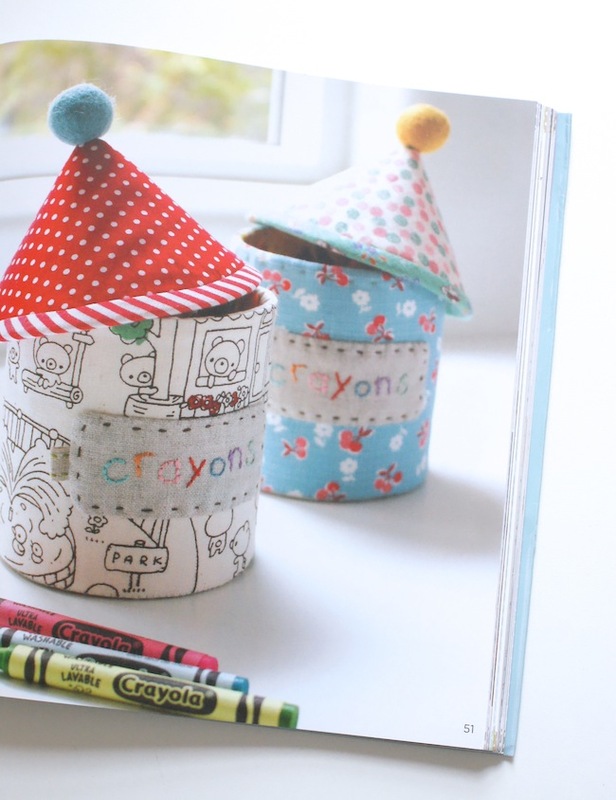 I love that many pockets house hanging, and the crayon box. So cute!